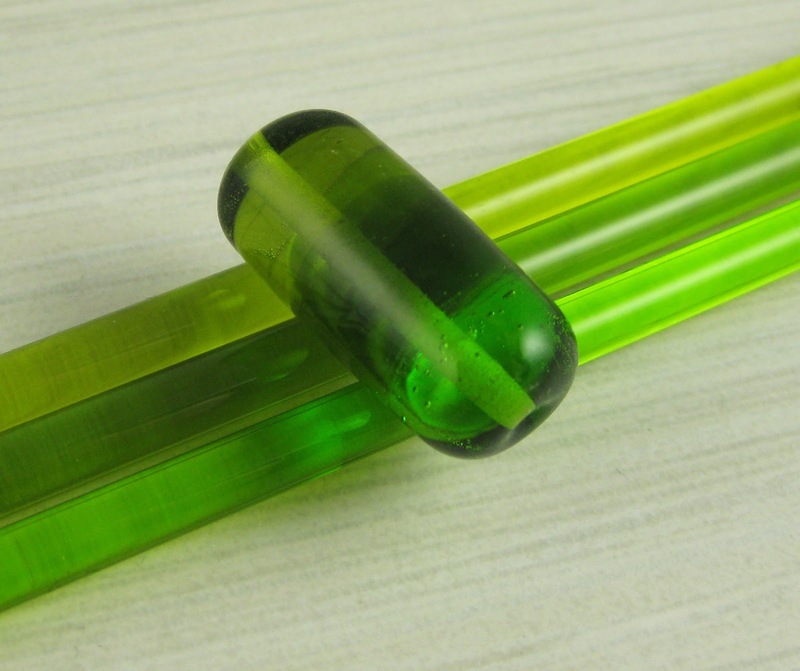 Reichenbach Lime Green (RL4017) is a medium green transparent glass that is quite pale in thin layers, but darkens up significantly when used in solid, self-coloured beads. 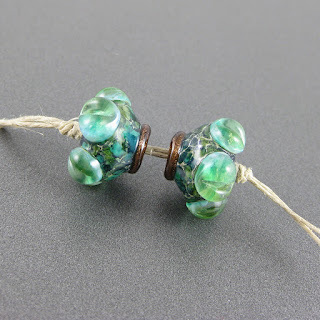 It darkens a little when worked, so you can expect any beads you make with this colour to end up somewhat darker than the rod colour might lead you to believe. In this picture, Lime Green is in the middle. 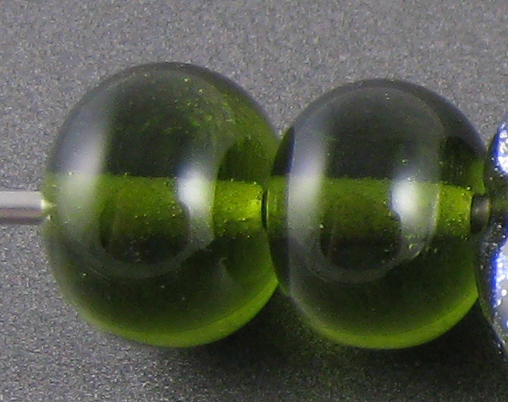 On its left is Effetre Olive Transparent, and on it's right is Effetre Light Grass Green. 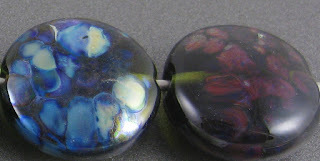 It's the darkest of the three, and builds saturation quickly as you build up a bead. 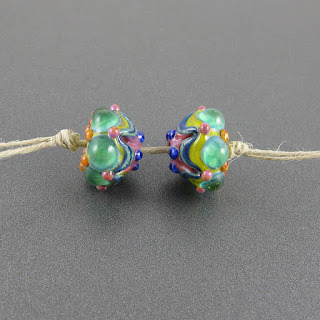 Here, you can see that the rightmost bead, which I reduced, looks no different from the left hand bead, which I did not. 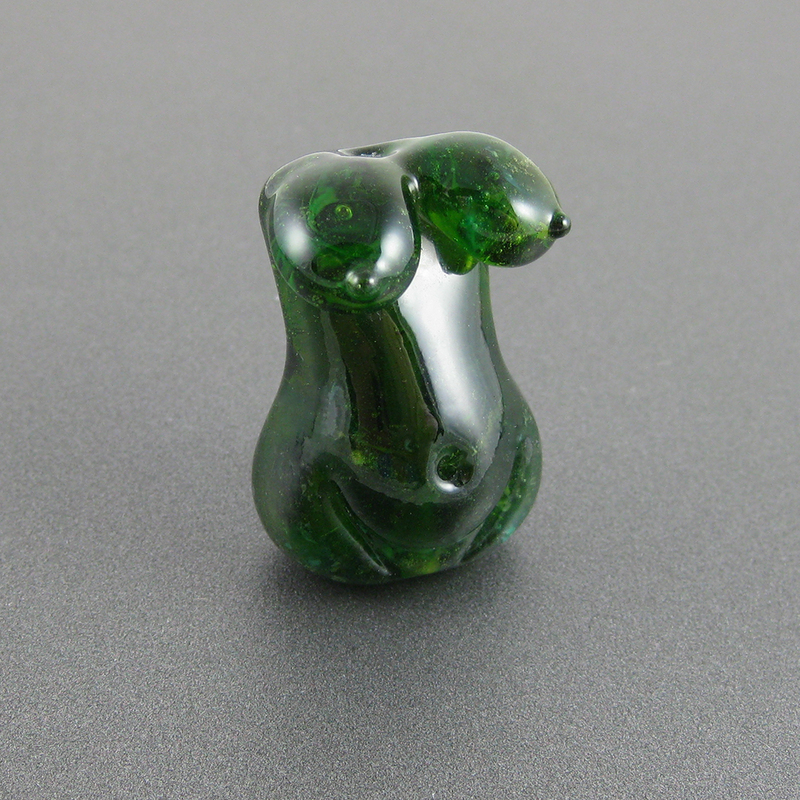 Lime Green is an interesting base for Silver Glass. Because it is a little stiffer than the Double Helix and TAG colours in my reducing frit blend, my frit spread out on it which was nice. 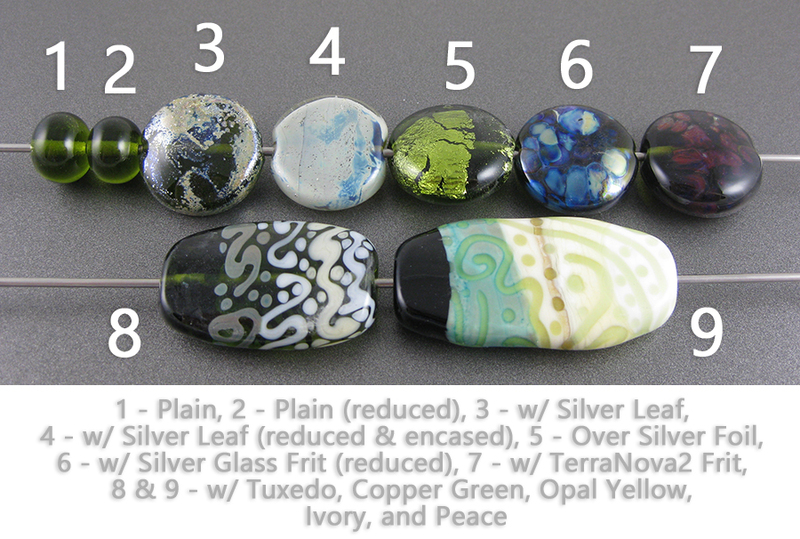 I got a nice starting strike from my TerraNova2 frit on top of this colour, but nothing extraordinary. I saw some very slight separation in Ivory, Copper Green, and Peace on top of this colour, but not enough that I am even tagging those reactions to Lime Green for future reference. I didn't get many unusual reactions when I used Lime Green on top of other glasses, either, although when I used it on top of Copper Green, I did notice that the edges of the dots and stringer lines looked much brighter turquoise than can be seen elsewhere on the bead. Here's a goddess bead made with Lime Green and some green frit. I'm not very pleased with how this came out, but am not too proud to show it anyway. If nothing else, it demonstrates how this colour is actually quite saturated and looks very dark when melted into a solid mass. These beads also contain some Lime Green.